Your data is safer: While it can give you a sense of warm fuzzies to hear your storage drives whirring away, the risks are less appealing. Your servers could crash, drives become corrupted, or a breach could see your data held hostage under a ransomware attack. Of course, there’s always the standard fire/theft/flood scenario to consider too. With cloud applications, your data is safely tucked away in Fort Knox style data centers, complete with robust backup systems in case anything goes wrong. As part of their service guarantees (usually 99.9% uptime), your cloud solution will have technicians on-site whose sole job is to make sure that when you need to use the application, it works. Of course, no one can 100% guarantee that your data will never be lost, but the chances are MUCH greater vs leaving your applications on site. You’re always updated: Gone are the days of trying to work out compatibility between versions and accidentally corrupting files. Cloud applications are updated automatically on all devices, and unlike when you run an update on a local computer, the process is almost instant. This is because the update is actually running on their end, at the data center. With this advantage, you’re always up to date with the latest features and security patches, no matter how busy you are. This is ESPECIALLY useful in cases of shared database software like Quickbooks. You’re free to move: One of the best ways to increase efficiency is to remove restrictions around where your employees can do their job. With your new cloud application, they won’t have to wait until they get back into the office to send an invoice, follow up with a customer or even make a record-breaking sale – they can do it wherever, whenever. This flexibility opens up a world of possibility and can literally hand you a competitive edge. All your employees need is an internet-enabled smartphone, tablet, or laptop so you’re even saving money on tech. You can bet we have tons of ideas on how your business can take advantage of this freedom. All you need is internet: Considering how fast modern internet speeds are, this is usually a non-issue. It simply needs to be stable and meet a standard speed. If you’re concerned, we can run checks to make sure it will be a smooth transition for you. Because it’s internet-based, the cloud application works with your established network, whether it’s wired, wi-fi or cellular (or a hybrid). Some businesses also choose to have mobile 4G set up in case the internet goes down, that way the connection automatically switches over and downtime are completely avoided. But please note, you MUST have a correctly sized internet connection for what you are wanting to do. Our technicians can help you determine if you do, and help you find a suitable replacement if necessary. Google Drive, Dropbox, iCloud, etc are services that sync up with a single folder on your computer. They mirror it. When a file changes in one, the sync service rushes to change it on your computer too, so they are always the same. Cloud Sync services are hugely flexible for remote employees, or even those squeezing in a few quick tasks while riding the train to work. They’re ridiculously easy to use, require no training, and the free tiers are enough for most individuals. This all sounds amazing, right? Except…when things go wrong, they go wrong big time. Accidentally deleting a file means it disappears from the Cloud Sync drive – almost immediately. Overwriting a file does the same thing, and if an employee makes edits to the wrong file, then those edits are there to stay. If disaster strikes and your local copy becomes corrupted (or ransomed), well you guessed it, the corruption is uploaded too. While some Cloud Sync services now offer a 30-day backup option, you may not notice the file was missing within this time and even if you do, restoring multiple old versions of files is VERY time-consuming. Mozy, Carbonite, Backblaze backup, Crashplan, or our custom monitored Managed Online Backup may or may not be names you’ve heard before, but they work in the background to monitor changes to files on your computer or network and make sure you’re backed up. You can roll back individual files or whole drives, and even select from earlier backups, not just one. Like sync services, they use cloud storage centers with extra-high security and redundancy so that your data is always there when you need it. Even better, neither you nor your employees need to worry about when it was last done. Let’s take a moment to talk planning. We recommend starting with the 3-2-1 strategy. This means having 3 copies in total, 2 of them locally such as on your computer (the working copy), an external drive (the easy-to-reach backup copy), and another offsite in the cloud (in case something catastrophic happens). Using this strategy keeps your business operating when data disasters occur and is an investment in your uptime. We can help get you set up with the 3-2-1 method, including selecting the best cloud service for your needs. If you’re looking for a more scalable, cost-effective solution that gives the utmost peace of mind, ask about our managed backups service. You never miss a backup. The worst part of a crash or hack isn’t the financial cost, it’s losing your files forever. 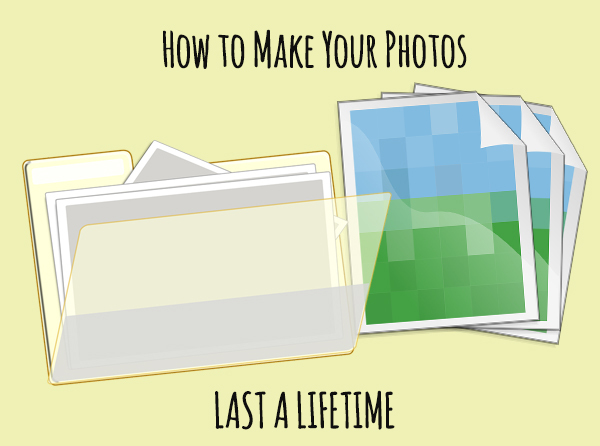 Many people have their entire collection of photos stored on their computer, plus important family files, most of which can never be replaced or recreated. Whether it’s a report just created, a recipe handed down for generations or a novel you’ve been working on for longer than you’d care to admit, managed services ensure your backup is working correctly. Backed up files are ready to go when you are, and losing files to corruption, failure or theft is a thing of the past. Support is a phone call away. Just got a new printer and it won’t play nice? Got a weird error popping up? Your laptop won’t talk to the Wi-Fi? Our remote support team can help with whatever technology issue has been bugging you and wasting your time. No nonsense advice is just a phone call away, and our team can remotely connect to diagnose and fix many problems. This means you can likely skip the cord shuffle and carting your computer into the shop, and still get your most pressing computer issues fixed. 15 years after the world united to crack down on spam emails, we’re still struggling with overloaded inboxes. All that unwanted email continues to flood the internet, much of it targeted to small businesses, and the impact goes wider than you might think. Here’s the full breakdown of how modern spam works and how it’s hurting your business. What is spam? Generally speaking, spam is any unwanted message that lands in your email, comes via text, social media messaging, or other communication platforms. It might be sent to your main business account, eg your ‘contact us’ email, or directly to your employees. Most of the time, spam is annoying but relatively innocent messages from another business inviting you to buy/do/see something. They’re newsletters (! ), reminders, invitations, sales pitches, etc. You may know the sender and have a previous relationship with them, or they might be a complete stranger. Occasionally, spam may even be part of a cyber attack. Why you’re getting spammed. Maybe you or your employee signed up for a newsletter or bought a $1 raffle ticket to win a car. Perhaps you got onto the mailing list accidentally after enquiring about a product, not knowing that simply getting a brochure sent through would trigger a spam-avalanche. Often there’s fine print that says they’ll not only use your details to send you their marketing, but they’ll share your details with 3rd parties so they can send you messages too. That single email address can be passed around the internet like wildfire, and before you know it, you’re buried under spam. Sometimes, and more than we’d like to think, your details are found illicitly, perhaps through a hacked website for example, like the recent LinkedIn or Yahoo leak. More often though, your email is simply collected by a computer ‘scraping’ the internet – scouring forums and websites for plain text or linked emails and selling them as prime spam targets. It’s easy to see how individual office employees receive an average of 120 emails daily, over half of which are spam! Spam is a HUGE vector for Infections. Past being just annoying and wasting your time, e-mail spam has become a very effective vector for spreading malware or otherwise stealing information. You may be aware that you shouldn’t open unsolicited attachments, but that is not the only way to cause problems. Lately, I have seen a lot of messages that contain no malware, and don’t even link to a virus. This way, they can’t even be caught by spam or virus scanners. What they do however is take you to a fake login site like Facebook or Google that then asks for your credentials to log in and see a shared document…These can look very convincing but DON’T FALL FOR IT! Business e-mail should NOT be a free service such as Hotmail, Yahoo, AOL, or even Google. Not only are they not as secure as most businesses need, those are known domains and regularly attacked and spammed. If you set up a custom domain (like littledogtech.com), you are instantly creating an address that is completely unknown and new. Spammers can’t send mail to a domain they don’t know about! Setting up a custom domain is not as hard or expensive as it used to be. Once you have that custom domain, format your business e-mail addresses to NOT have common names like ‘admin’ or ‘sales’ or ‘support’. These are easily guessed and added to lists. Also, include more than just the first name of your employees to make the address harder to guess. Use Robert.Johnson@company.com rather than bob@company.com. Utilize a 3rd party mail filtering service to scan and categorize all mail for viruses or spammy content BEFORE it reaches your inbox. These systems can also filter out potential phishing messages by recognizing that something that may look like it is coming from a co-worker is not. Our clients that are on such a system enjoy GREATLY reduced spam in their inbox. Your network operates in a delicate balance, and when one piece breaks chaos soon follows. Connected systems and processes tend to fail, dropping productivity to flatline levels as all focus shifts away from normal activities. It becomes a mad scramble to get the network up again, especially the email servers. The last thing you want is for all your client/customer emails to bounce back! While it’s good to have confidence in your on-site administrator, the assumption that any crashes will always happen during business hours has caused many regrets and panicked phone calls that could be avoided. When you move to a cloud solution, you’re able to say goodbye to onsite servers and all the accompanying drama, making your remaining infrastructure easier to maintain. Maintaining your exchange servers is no doubt costing a tidy sum from hardware repairs and license fees alone. Add in the cost of scaling your server to keep up with your business growth, and suddenly keeping your email in-house doesn’t make financial sense. Instead, consider what it would be like to have predictable costs for your email hosting that covers everything, including the latest technology and round the clock administration. Many solutions offer on-demand plans, so you only pay for the options you want. One of the main arguments for keeping your Exchange server is to make sure you have complete control over your email; you’re able to limit physical access, no 3rd party has access to your critical data, and you always know where your data is. While control may have been the deciding factor in the past, the fact is cloud solutions have evolved so much that these arguments are void. Physical security at one of Microsoft’s data farms, for example, goes far beyond that of your locked server room and digital access is strictly limited to those you specify. Cloud solutions provide automatic protection against many threats, including fire, power outages, viruses and flood. While your own in-house server has anti-virus running and a backup plan, it’s still incredibly vulnerable. Backups get forgotten, virus definitions don’t get updated in time, and you’re very lucky if your own server can survive fire or flood intact. Moving your email hosting to a cloud solution removes all that risk, usually with an uptime guarantee that lets your business get on with essential tasks. As email is a critical tool for your business, isolating your systems from risk may be one of the best decisions you make all year. We can help you with your email server needs, call us today at 515-422-1995. Cloud technology has created a revolution for small business, changing the way you store, share and backup files. While ‘the cloud’ is often hard to understand because it’s neither in the sky or in a single location, there’s no arguing that it’s driving growth across the board. Storage concerns are a thing of the past as small businesses like yours embrace the flexibility, cost savings and protections of cloud solutions. We’ve done the research for you and identified 5 ways small business in particular benefits from making the move. We know medical businesses and services need to follow certain regulations when it comes to patient data. This includes security as well as data integrity, plus backups and auditing. Many cloud providers acknowledged this need early on and made sure to offer compliance guarantees. They therefore keep abreast of changing regulations, often implementing new requirements before you’ve even heard about them. With cloud storage systems, you essentially slash your compliance workload and let your provider do the worrying. With the crazy weather we’re seeing, natural disasters on the rise, and cyber terrorism echoing for years, it’s not a case of ‘if’ a disaster will strike your business, but ‘when’. Surprisingly, it’s not the scope and scale of the event that influences how deeply your business is impacted, it’s your business continuity plan. Put simply, this is the all-important set of precautions and pre-planned responses to an event, laid out in bullet-proof detail and implemented with one driving focus: keeping your business running with little or no downtime. Think about what would happen if your business was hit by a natural disaster tomorrow. Would it survive? How much downtime would it take to push you into dangerous territory? According to an IBM study of all companies that had a major loss of data, 43% never reopen, 51% close within two years and just 6% will survive long-term. For a fraction of those survivors, business even continued as usual thanks to their ‘failsafe’ business continuity plan. It’s more than disaster recovery, it’s full preparedness that bypasses the need for 2+ weeks of downtime, financial ruin, wasted salaries and reputation loss – but it does require a higher level of planning…in advance. Prioritize: You’ll need to plan exactly what you’ll recover first and know who’s in charge of making it happen. It goes beyond jotting down a checklist of things to do, it’s taking an analytical, process-based approach to recovery for each unique business perspective. But it’s also realistic: there’s no point dedicating precious time to reviving the email system if your customer data is leaking onto the internet, even if email did rank as your top communication priority! Backup: Of course, the most critical part of your business continuity is having full backups in three places. Why three? One copy locally which you use each day, a backup on another (disconnected) device in the same location, and one in the cloud. That local backup is your life-saver for system crashes, cyber-attacks and the like; the cloud backup comes into play when your business has taken a major physical hit, perhaps from fire or flood. Some businesses can run entirely location-independent when using cloud systems like Office365, which can be enough to put them in that 6% of disaster survivors. Test: Make sure all employees know what the plan is if something goes wrong, and their specific roles in these scenarios. You can test, prepare and rehearse your continuity plan under simulated disaster conditions, which will uncover new obstacles, priorities and additional threats. As your IT environment becomes more complex, carrying more responsibility and risk, so does the importance of a robust business continuity plan. The best BC plans look beyond disaster recovery, taking into account scalability of your system and scope of your individual business, to create strong battle lines that will keep your business operational, both now and for the long term. You’ve seen all the ads for Hosted Exchange services such as Office 365, Intermedia, or Rackspace. You’ve probably even jumped online to see what all the fuss is about. But is Hosted Exchange a necessary upgrade for your small business? The answer is yes. It’s more than a refreshed set of tools, it’s an efficiency and productivity powerhouse. Here are 7 spot-on reasons why small business owners should upgrade now. Hosted Exchange was created with data security at its core. The built-in compliance and security protocols mean your cloud storage is safe, and you can control access so your valuable data remains exactly where you want it. Storing your mail data in the Exchange cloud keeps it safe in case of emergency. Software version differences can be a real nightmare in a small office. Not every system can do the same things, and half the time, they can’t even open the same files. It quickly becomes a hodge-podge of workarounds and lost time. Office 365 Apps as an Exchange add-on includes 5 licenses per user to all of your favorites Microsoft Office Apps with free upgrades for as long as your subscription persists. Not everyone lives in the land of inbox zero. In fact, most people tend to leave messages in their inbox forever. Occasionally we’ll do a quick clean up, but only when the alert comes in that the mailbox is full. Meanwhile, new emails from customers may be bouncing away with the old ‘mailbox full’ message. Eek! With hosted Exchange, your employees can communicate without worrying about storage space. Every person in your business is juggling meetings, emails and contacts – usually across multiple platforms. Hosted Exchange brings all those elements together, integrating seamlessly for more efficient time management. Contacts updated via mobile while offsite are automatically updated across all connected devices. Meetings scheduled in an email are added instantly to the calendar. You can even access files from any device, edit on the run and then back in the office, simply pick up where you left off. Forget about planning (and delaying) those costly upgrades. Hosted Exchange has small business covered. You can choose a plan based on your unique needs and change at any time. You can even add or decrease the number of users as you scale and streamline. It’s so easy to fit Hosted Exchange into your monthly budget while knowing you’ve got the very best and latest in small business software. The days of fiddling with private network and security settings are over, thanks to hosted Exchange. You don’t even need any special IT skills or extra software. Users can now securely access their files from home, during their commute, or in meetings for on-the-fly impressive presentations. Got an internet connection? That’s all they’ll need to squeeze productivity out of every day. A whopping 25% of small businesses shut down permanently after flood, fire, crash or cyber-attack. With hosted Exchange, all your data is stored in the cloud with built-in backups for redundancy. No matter what happens, your data will be there, letting you stay up and running – and always ahead of the pack. By now you know that the cloud isn’t going away any time soon. In fact, cloud computing has become a natural step in business growth, thanks to the numerous (and continually growing) benefits. More and more applications are coming out in web-based form and staff are exceptionally comfortable with this type of change. 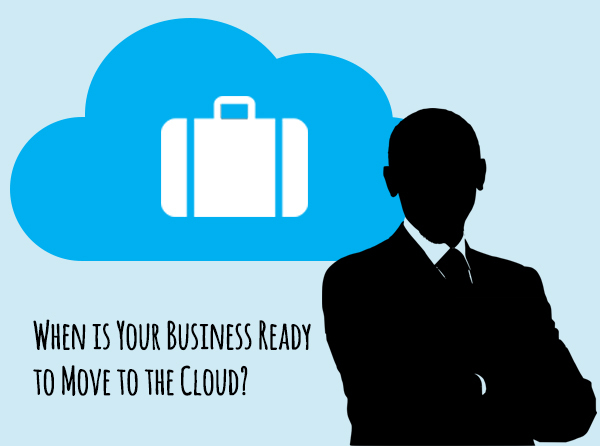 So when is the right time to move your business computing to the cloud? We offer a variety of cloud services to help your business. Give us a call at 515-422-1995 to discuss how we can improve your business IT. Digital cameras are great, and thanks to smartphones, we have one with us almost all the time. We’re taking more photos than ever before, and building a lifetime of digital data. But despite the enormous value of these photos and videos, most people don’t have a backup. It’s time to shine a light on this essential task and make it a regular habit before those precious memories are gone forever. If you asked someone what possession they’d save from a house fire, most would say photos, and they’d make a point of grabbing a frame or album on the way out. But with digital photos, you don’t need a fire to lose everything, they could simply disappear in the blink of an eye with hardware failure or theft. There’s no warning, no smoke alarm, and without a plan already in place, no chance to recover the data. It’s time to get set up with a true backup system. You might think saving your information to an external hard drive or flash drive is enough. You’re right, it’s better than nothing, but since the data is stored in only one place, this isn’t a backup – it’s just storage. That drive could fail at any moment, perhaps from age, malfunction or plain old theft. Often enough, that drive even becomes lost over the years, put somewhere ‘safe’ and promptly forgotten! And with the way technology is moving, accessing that data in 5 years might even bring up compatibility issues – some newer computers don’t even have CD/DVD drives, yet hundreds of thousands of homes would still have photos stored on a disc. You might have your extra storage drive as backup and keep a copy on your computer. This is a better solution, and how most people store their data, but it still isn’t enough. While you’re protected against device failure, that house fire is going to take both copies up in flames. Thieves would probably grab the external drive while they’re bundling up your computer too, so again, you’d be left with zero copies. It’s close, but it’s not a true backup system. We subscribe to the backup rule of three. Just reading this may sound like overkill, but tech is fragile and device failure is a constant risk. We recommend keeping one copy on the computer/device, another on an external drive, and a third copy as last resort tucked safely away in the cloud. The cloud backup can be fully automated so you don’t even need to worry about remembering to do it. If the day comes that you need your data back, it’s ready and waiting in perfect condition. Cloud technology also means your data is far away from any potential fire or flood, it’s secure and with the right provider, guaranteed against loss. There’s a saying in the IT industry: “There are two kinds of people: those who backup, and those who have never lost all their data”. No matter what the cause of your data loss, it always has a deep impact, particularly when it comes to precious data. While re-creating some homework or the family budget might just be inconvenient, there’s no way to recreate photos once they’re gone. It’s a loss that hurts for a long time, but it’s also so very avoidable. If you value your data, give us a call at 515-422-1995 to implement a well-rounded backup system.